The Town That Food Saved tells the recent history of the Local Food Movement in Hardwick, Vermont. I say recent, because a lot of the old timers in Hardwick, make it clear that they bought into “local” (and bought out of the industrial food system) long before it was popular. While they don’t specifically mention FLOWERS in this book, I think the issues raised with the Hardwick Buy Local Movement are relevant to LoCoFlo. I don’t know why I’m always skeptical of books like this -just like I was with Farm City. I think I’m afraid it will be some glossed over, happy story about the joys of Buying Local, or Urban Farming or whatever the topic is. I actually really liked this book-if only for the questions it raised. What should a sustainable food look like? How can you measure it’s success? 1. It has to be sun-based. It cannot be based on chemical fertilizers. 2. It must provide nourishment for the local population. 4. It must be circular. Seed. Plant. Compost. You’ll have to read the book to see how Hardwick measured up. I think you’ll be surprised at the conflicting assessments. Obviously, flowers are different. We don’t NEED flowers to survive (well-most normal people don’t). But I think that sustainable flower growing should be sun-based. I think the growers should be providing flowers for their local communities- rather than having the bulk of their flowers being shipped someplace else-like Dubai-but that’s another story. I think the growers and businesses like LoCoFlo that depend on the local growers, should help provide economic viability for the region-through job development and spending money in community. Finally, I believe that the system needs to be circular. We should be buying seed locally or saving seeds from locally purchased flowers, we should be buying flowers that are grown locally and we should be composting. LoCoFlo is doing what it can-where it is: working with sustainable growers, creating as many job opportunities as we can, living in Baltimore and spending our money here and composting until there is no more room in the yard! 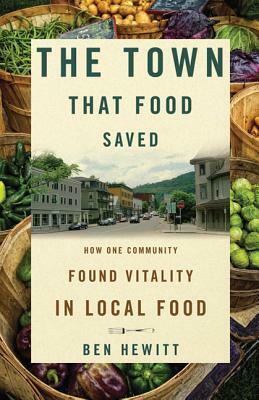 Read “The Town That Food Saved”. Talk about it with your friends. You won’t regret it.